Our readers bought a ton of FOCX’s first Kickstarter-funded wallet, and now the company is back with a whole new line. While they look similar at a glance, there are subtle differences between the three wallets included in the campaign. The Minimalist and the Accountant are nearly identical, except that The Accountant has an extra elastic strap, and leaves one side of the front leather facade open, rather than stitching it completely shut. Focx markets this as a coin holder, but I found that it works great for cash as well. 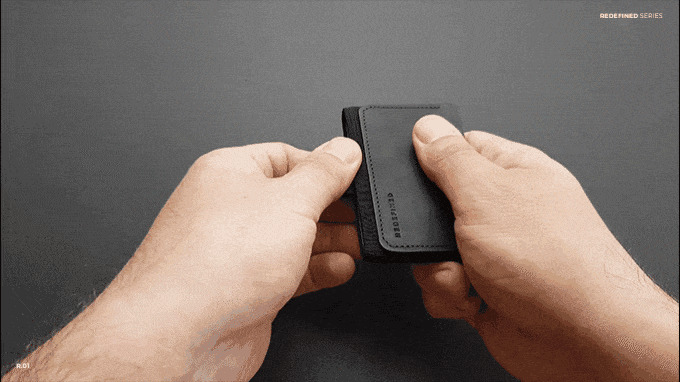 The Purist adds an extra strip of leather that closes around the wallet, adding a dedicated cash holder and protecting your cards, at the expense of some added bulk. All three wallets are very small, look great, and are primarily constructed from elastic, meaning you can stuff a ton of cards in there. The main compartment has a two-sided pull tab that gives you easy access to your most-used cards, but cards you store on the back of the wallet are still easy enough to access. As is typical on Kickstarter, early backers get the biggest discounts, so pledging early is good for your, uh, wallet.